I'm looking to get more than a few parts chromed for my personal collection. I've found a few BL stores overseas that look like they will chrome parts on demand, but I was hoping to find a USA seller I can work with, to cut down on shipping costs. Does anyone know of such stores? (and please don't post "Oh, this store looks like it has a lot of chromed bricks, they might have what you want). I'm looking for some selective parts. Secondly, I've never purchased custom chromed parts before. Does anyone now how thick the chroming is? Do bricks still stick together after? Oh, this store looks like it has a lot of chromed bricks, they might have what you want). I only know a Dutch chromer, and he specializes in gold. I guess I set myself up for that one. I kind of expected Pitfall or Sumo to get to it first. Shoot, I guess I'll take any names, just to get a comparison. And yes, I am looking for gold-colored chroming. Very happy with the parts, but they only have silver chrome items listed. 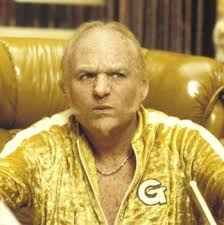 He goes by a single name... Goldmember. He takes payment in skin flakes. And if you need a cloner, the ostrich people of Kamino are excellent. But they are tough to find, as their planet isn't in MapQuest.